FIFA ’19 will hit the stores the 25th of september and the hype-is-real. The designers and developers were even called back from holiday to restyle posterboy Christiano Ronaldo from a Real Madrid tenue to a Juventus tenue. Just as FIFA ’18, the games comes in three editions: Standard Edition FIFA, Champions Edition FIFA and Ultimate Edition FIFA. Those are new names to the former known Ronaldo and Iconic edition. Probably due to the coming of Champions League (coming up next!) and the FUT feature, becoming more important. All of that comes with a price, starting with the standard edition at €59,99 across all platforms available. For another € 20, you will receive The Champions edition ($79.99), with some nice special features to enjoy as early as 25 september (three days early access). and the Ultimate edition will set gamers back £89.99 ($99.99). The rabbit is finally out of the hat: EA Sports secured the rights to the UEFA Champions League! The competition that makes every other competition obsolete. The competition won’t simply be added and that’s it; it will be thoughtfully woven throughout the game. Whether you are playing Journey or Ultimate Team; the Champions League will be there in the storyline. If you ever get bored of playing the Champions League, the Europa League will challenge you even more to play with lesser known teams. Though the likes of Chealsea, Sevilla and Arsenal will still be there to compete for the trophy. So the term ‘lesser’ is quite relative here! We are excited for the new active touch feature, that is gonna have impact in the way players strike and receive the ball. Next to that, there will be a reimagined tactical system and 50/50 battles. What is really gonna be revolutionary will be the dynamic weather which means the weather will be ever changing. Elements like rain and snow will slow the game down and can cause players to fall and get injuries. The thing we are really excited for though, is the server performance improvement. Something players and esporters have asking for since the release of FIFA ‘18. Numerous disconnects resulting in a DNF modifier, which gave you a penalty that affects future rewards from matches. Hopefully, no more. The reason why the replay value of FIFA is so high is the popular Ultimate Team Mode, and of course this mode will be available in the ‘19 version as well. With some slight alterations to what we are used to. We already mentioned to addition of the Champions League and the UEFA League and it will sure affect the Ultimate Team mode as well. Players will have their stats updated regularly for their performance; both in their national competition as in the european venture. Next to that, odds on the value of packs is being released so players have an idea of what they can expect. This is probably due to complaints about the ‘gambling’ factor involved in the packs. As for the icons, FIFA 19 will host a new badge of icons joining the team. Among them are Johan Cruyff, Frank Lampard, Steven Gerrard, Eusebio, Rivaldo, Fabio Cannavaro and Roberto Baggio! A lot of people will go after these icon cards. Last but not least, we’ll see a new edition of The Journey; the final phase in the career of Alex Hunter. So if you are a fan of the storyline, be sure to enjoy this instalment to the fullest! We saw a young Alex for the first time in FIFA ‘17, trying to make its debut at a premier league club. In FIFA ‘18 Hunter goes overseas to play in the Major League Soccer with Los Angeles Galaxy, before returning to Europe. Now the biggest episode of his adventure is about to begin. The Journey: Champions! If we ever see the Journey mode again, it will probably be with a new kid on the block. So, are you looking forward to FIFA 19 and some competitive play? Let us know! 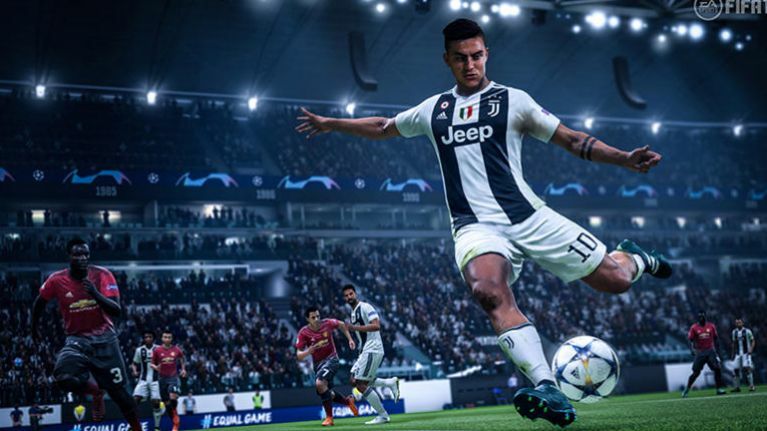 Author Master MazumaPosted on September 6, 2018 September 6, 2018 Categories NewsLeave a comment on Everything you need to know about FIFA ’19! 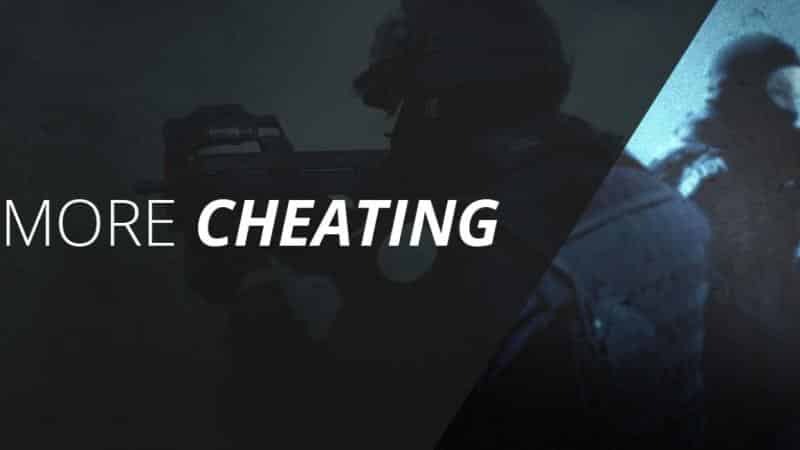 Cheating in esports: can you? Will you get away with it? Does it happen? You’d think professionals on the highest level would know better than to cheat! Just think of all the cameras looking at your every move. But it happens more than you think! And probably also more than we think, cause probably not every cheater gets caught! There are multiple ways for players to use the crowd to their advantage. Imagine a guy in the audience holding a sign with an innocent: GO Cloud 9!! It’s written in blue letters, but if you look five minutes later he has the same sign written in red letters. It’s a way to sign the team that the opposing team is going to the blue buff or red buff. It’s extremely difficult to recognize this kind of cheating in an audience of 10.000 people. Sometimes the audience is simply yelling coordinates, but these people are asked to leave the arena. Games are programmed and programmers make mistakes. Is it cheating when you discover a mistake and use it to your advantage? Usually players don’t receive a ban for doing so, but it is considered unprofessional and not sportsmanlike. In the following video you see a bug that players used to get the location of their opponents without being seen themselves. When discovered, teams were asked not to use it. But it appeared very hard for people to resist the temptation. The game H1Z1 punished mechanic cheaters by banning them and only alowing players to come back if they did an apology video on Youtube. The videos are actually really hilarious! The biggest danger to the competitive scene is probably drugs abuse, as in any sport. When cheating in esports, it’s usually the medicine people with a attention disorder. The drugs, basically speed, heightens the concentration and senses. But needless to say, are extremely addictive and dangerous when used in a non medication way. The most common mistake people make when betting on Hearthstone is lacking knowledge if how a TCG works and how players interact with strategies. More than any other genre, the banning (or nerfing) of cards (items or characters in other games) and the release of new card sets, affect the players greatly. While a League mid laner can dominate years with Kassadin, even after a potential nerf or buff of some items, a Hearthstone player will have to adapt to the changing meta constantly, sometimes changing decks over an adjustment of one card. The big difference with LoL is that a player doesn’t just change champion by changing decks, but changes from mid-lane to adc (to keep the analogy). In other words, a player that has an insane track record with miracle rogue could have worse results when forced to play aggro pally. When doing your research on how players are performing before placing your bets, always take into account the recent patches, nerfs, buffs and sets. There are a lot of games where I can advise you to watch some streams, read some articles and start betting away. Learn the mechanics and learn to recognise skill. With Hearthstone, I advice you to atleast play the game for some time. Unless you have played other CCG’s like Magic the Gathering, or even Pokemon TCG. By playing, you get a sense of what makes a card good in a certain deck, a certain strategy and to certain players. You will understand what it means when a patch comes out, which players lose their edge at least for some time instantly. Playing Hearthstone is free, so why not! Become a better Hearthstone player yourself? Want to become a better Hearthstone player? Stop playing Hearthstone for a second. By playing card games that don’t rely on RNG that much and are more interactive, you get a better sense of decision making for card games in general. Don’t forget that the creators and some of the big pro’s of the game started of With MtG first! There is only one real title that deserves the label esports from Nintendo, and that is ofcourse Super Smash Bros. On the E3 they revealed the latest offspring called Super Smash Bros. Ultimate. As a promotion, Nintendo invited some of the best Melee and Smash Wii U players from around the world. They battled each other in a exciting invitational tournament. There are some peculiarities to Smash Bros that make the esports so interesting. For instance, the controllers were made in different factories and in different periods of time. There is a significant difference in functionality, with the controllers made in the early 2000’s being the best by far. Professional players go wild on their hunt to find these. It gives Nintendo a headache, since players are modifying their controllers and even the hardware to get an edge. Something Nintendo is trying to prevent, and has to prevent, to ever become a serious contender in esports. Players want a leveled playing field. Capcom wasn’t to proud to partner with established tournaments when they started their Pro Tour. With many Nintendo Games being popular in the amateur circuit and potential esports candidates, could this be the road the Japanese developer decides to take as well? Think of games like Splatoon, Arms and Mario Tennis Aces. Nintendo is looking at multiple angles to really kick-start these games, from sponsoring amateur circuits to setting up a solely online competition. But Nintendo wouldn’t be Nintendo if they didn’t push their games in their own unique way. Nintendo is in secrecy about their strategy to launch their esports titles. All good and all, but Nintendo; it’s 2018!! You should already have been investing a lot! Reserve some prize money already, set up an competitive scene with franchise already, give players like Hungrybox the podium that they deserve already! 2024 is the year esports will make their entrance on the Olympics, if Nintendo wants their titles to compete there, they have to act now. Currently, based on hours viewed, Super Smash Bros hangs around 11th/12th on Twitch, that is just not gonna be enough. Hopefully, Super Smash Bros. Ultimate. Is gonna be the title that brings the community together and that will get the support it needs from a publisher that sometimes might be a bit to stubborn. Then again, that is one of the reasons we love Nintendo. Time and money. Two things you always wish you have more off. If you decide you want to invest some of these assets in esports, you want to be sure it’s worth your effort. We at Master Mazuma keep a close eye on the development of the esports industry, since we invest a LOT. But we do this, cause we feel it’s worth every penny and every minute of our time. Today we share some of our valuable information with you; so you can decide for your self if esports is something you want to invest into in the future. The total market of esports will generate a total revenue of $905 million in 2018. That is an increase of 38% in comparison to last year. This is about the same percentage we saw last year. These figures are from february. The coming of Fortnite esports will possibly push the total amount over a billion. There is also a 48% brand investment increase in 2018. This means a net esports investment of $695 million which can be broken down in $174 million in advertising, $359 million on sponsorship and another $161 million in content licenses and media. Media rights have gone up the most with 77% due to an increase in consumer spending on tickets and merchandising. Finally, game publishers will invest another $116 million in the esport community. Though these figures will probably turn out to be higher. As for audience, there will be 380 million people tuning in to esports this year. 165 million enthusiasts and 215 million casual viewers. So, is esports investing worth it? There is more than enough money to be earned and this will only increase in the following years. The expectation is that in 2020 there will be 1.4 billion dollars to go around. While America remains to be the largest market, Europe comes a close second. Especially western- and northern Europe. There is however an exception and an interesting development. 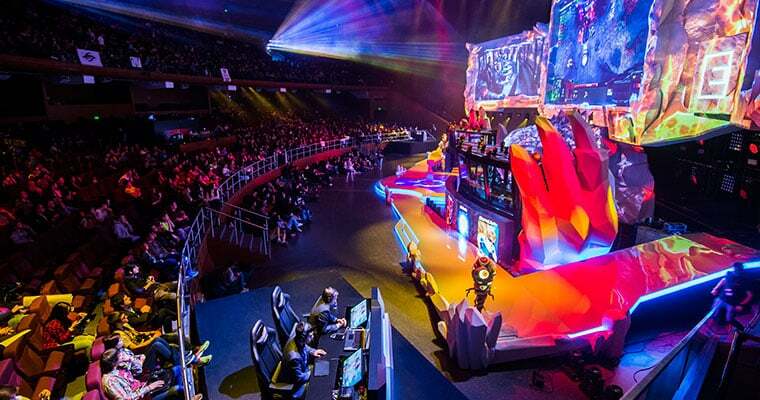 In Asia and especially China, mobile esports seems to have taken off. We at Master Mazuma will keep a close eye on this development and are looking for opportunities to offer betting on mobile esports in the future. So yes, esports investing is definitely worth it! Author Master MazumaPosted on June 6, 2018 June 11, 2018 Categories GamblingLeave a comment on Investing in esports, is it worth it? 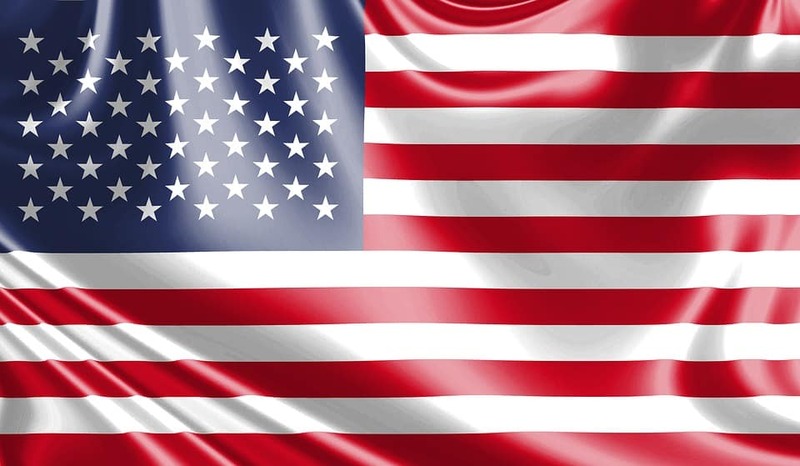 Welcome United States esports gamblers! Finally, a 1992 federal law that prohibits betting on sporting events in North America has been overruled by the US Supreme Court. It’s no clean victory though, from now on each state can regulate sports betting on their own. The probability that at least a few states will allow sports betting is big. There is a lot of tax revenue to be earned from gambling, so the traditionally progressive states will welcome sports betting no doubt. There is another but; there can be a distinction between esports- and sportsbetting. So different rules could apply to betting on the League of Legends World Series than on the Super Bowl, for instance. We are optimistic, even though not all bridges have crossed yet. This is a first step to bring U.S. players to the esports betting scene; and we welcome you! We expect a lot of competition to win the heart of the new U.S. players and we’ll meet this competition heads high and with good bonuses and conditions. Betting platforms originating from the United States, like Unikrn will find out if their alternative crypto/skin deposit model will be able to compete with cold hard cash. Being American, they do have the chance to reach out to the newly found playerbase without stretching. On the other hand, established esports betting sites (MasterMazuma😉 do have an advantage in experience with esports betting. Whatever the US players prefer, only time will tell! Without the lobbying of the NCAA, NBA, NFL and all other major leagues, we wouldn’t have had this change. In a way, esports is hitchhiking on their success. It will only be a matter of time before esports will be big enough to stand on their own feet and return the favor. But a big shout out to all hard work done by these pioniers! Author Master MazumaPosted on May 16, 2018 Categories Gambling, NewsLeave a comment on Welcome United States esports gamblers! mobile esports are coming; what to expect? Jup. Mobile esports are becoming a thing. Even though at first sight the games and devices don’t lend themselves for competitive gaming, the market is just to big for companies not to exploit. And so they do. Two examples of this are the recurring Mobile Masters events organized by Amazon. This year feautering a prize pool of $100.000 and consisting of games like Power Rangers Legacy. Amazon invested in a service called GameOn that allows developers to integrate tournaments on different devices. Allowing players to compete cross-platform. Another ‘proof’ of mobile games getting competitive is the forming of a Clash Royale team by GenG. You might not be familiar with the name, but you soon will be. Gen G is short for Generation Gaming, formerly known as KSV Esports. The team rebranded itself and went further than just changing the team name. The latest generation of gamers is no longer exclusively bound to the PC Master race. Only last year people would thought I’d be joking when taking mobile games into account of future esports. Now, I’d feel stupid to leave it out. Vlash Royale, Vainglory, Summoner War; they are all titles that are attracting a vast number of viewers (resp. 50-200.000 on average). Not to mention Hearthstone, that is in the twilight of being a mobile esports or a traditional one. Mobile gaming is around 42% of the entire market and will increase to 50% in 2020. It generates more money than traditional games and is worth multiple billions of dollars. If Fortnite is released on Android and develops a competitive scene, it will mean the definitive breakthrough for mobile games as competitive esports. A new generation of esporters will rise and it will be a wild west for the betting community; betters and bookmakers a like. It will take some time before teams are formed and talent is scouted. Most mobile games are not initially designed for esports, so chances are players initially will find glitches to abuse certain tactics. Author Master MazumaPosted on May 8, 2018 Categories Gambling, NewsLeave a comment on mobile esports are coming; what to expect? This is a good time for betting on League of Legends! Remember a couple of years ago? You had Telecom T1 with their Messi of Lol, midlaner Faker. You had Team SoloMid with Bjergsen and G2’s Perkz. Greatness existed on midlane and whoever got out on top on that lane had a good chance of carrying their team to victory. There is no Faker, no Bjergsen and no PerkZ in the Mid-Season Invitational of 2018. We are entering an age where the AD Carry will determine the outcome of a game. It’s the dawn of the marksman. The Meta will shift to bottom lane. 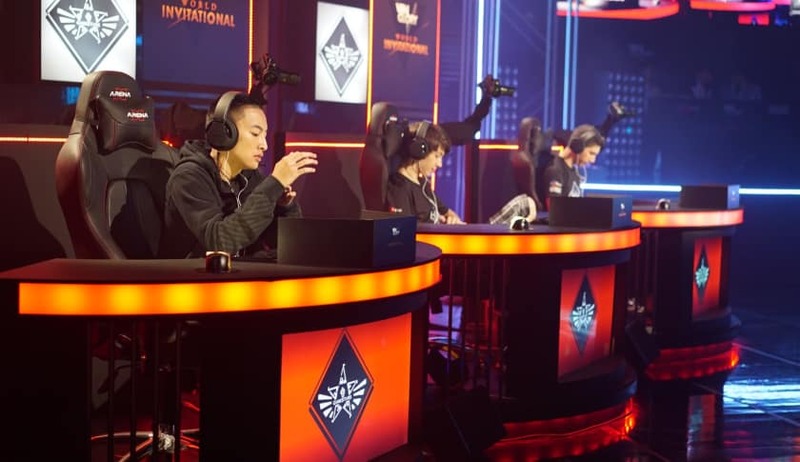 The four regions that are automatically qualified for the main event group stage that consists of six teams, namely South Korea, North America, Europe and China, have all brought forth their ruthless sniper. 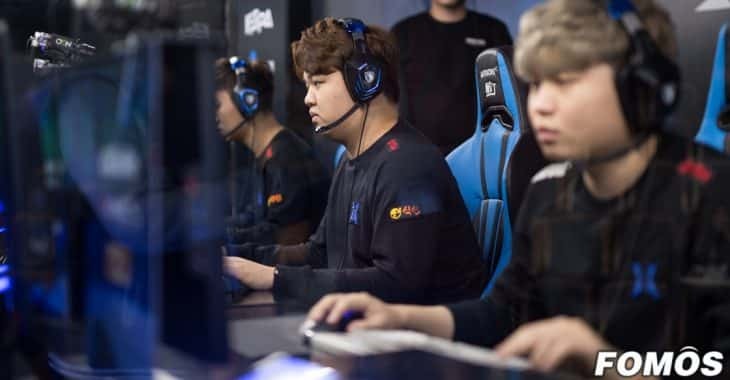 Kingzone’s Kim “PraY” Jong-in, Royal Never Give Up’s Jian “Uzi” Zi-Hao, Fnatic’s Martin “Rekkles” Larsson and Team Liquid’s Yiliang Peng are the names that not only rival for the trophy, but for the honour of being the most skilled ADC as well. Of these, we expect to see the most from Pray. This HAS to be his big year. Qualifying yearly for the World Championships with his trusted support GorillA, he never got to take home the prize. Always standing in the shadow of Telecom T1. But that team doesn’t participate and PraY’s Kingzone is now the only Korean team to contend. There is much at stake, which can be a good thing or a bad. Time will only tell. Follow PraY in mid-season for world championship betting!! The Mid-Season Invitational will be the perfect opportunity to see if PraY can handle the pressure. If he shines this tournament, you want to place your bet on Kingzone in the World Championship. PraY has proven to have the skills, dominating with Kog’Maw many times as a solo carry. Author Master MazumaPosted on May 3, 2018 Categories Gambling, News, TeamLeave a comment on This is a good time for betting on League of Legends! So you want to get into esports betting? Good move! Unlike physical sports, esports betting is a land of opportunities! No Real Madrid here, but a land full of surprises, especially with games not dominated by South Korea. There are some factors you need to take into account before placing your bet in order to increase your chances of turning your bet into a profit. Master Mazuma got you covered, we show you what you can do to be a successful esports better! A team with their main players all aboard always has a shot of winning. The same goes the other way around; teams with new players on a tournament always have a shot at losing. No matter how good the reputation. Last minute switches due to illness, fights or whatever reason, completely nullifies most of the preparation done by that team for the tournament. Choose for stable teams that have a history of consistency! Drama, drama, drama. It makes for really interesting content (believe us, we like drama) and even more interesting personalities. But as much as you secretly enjoy to see Faker cry or Vasili flip out against his girlfriend; it means bad news when it comes to betting. Boring, emotionless robots. Those are the safest bets. But we understand that watching them can be a ordeal, so make sure to bet drama once in a while just for fun! Since around 1860 people have been starting to use statistics for everything. Insurance companies build their (lucrative) business model purely on statistics. In theory, this means that with enough funds and data betting should always win you money. And since bookmakers do exactly this, it’s a proven theory. So though it might be a bit boring, check the statistics! Oh, did you know 87% of the statistics is inaccurate (it’s a joke). What rules might benefit a team? Usually a game has multiple ways of being played. Be sure to check the rulings of a tournament and see if there are any peculiarities that have proven to be of worth to a team in the past. For example: if a Hearthstone tournament allows players to ban one or more classes, this means bad news for players that specialise in a few classes. Esports betting is a sport, and like any other sport it’s a mixture of skill and luck. Make sure you get that first variable constant and the second…. Well, that is what makes it exciting!